Juvenis of Accendo Sarcalogos is a multi-period living history group from Ballarat, Victoria. 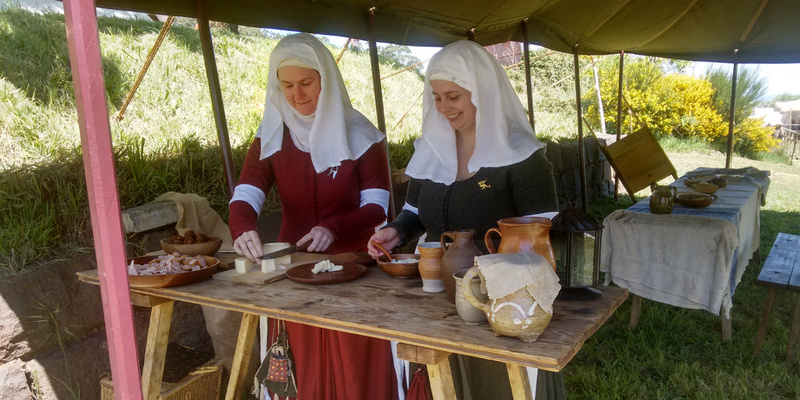 At St Ives Medieval Faire, they portray the household of Sir Geoffrey Devereux in the fourteenth century. Sir Geoffrey will contend the Knight’s foot tournament and his household will display skilled textile work in the fourteenth-century village.